Find here your Maison de choup coupons and deals. Maison de Choup is the fashion brand with a mental health cause at its heart. 25% of proceeds from certain collections go to YoungMinds Charity helping young mental health sufferers get the help they desperately need. Started by George David Hodgson in 2015 out of a period of severe anxiety and OCD, the brands designs are subtle and non triggering designs all based around mental health. The products are all organic and ethically sourced, with 100% organic cotton T-shirts. 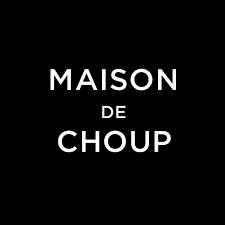 Maison de Choup has garnered some pretty impressive support from the likes of Vanity Fair, BBC, The Telegraph, Evening Standard Style Magazine, The Week, Metro and The Observer.